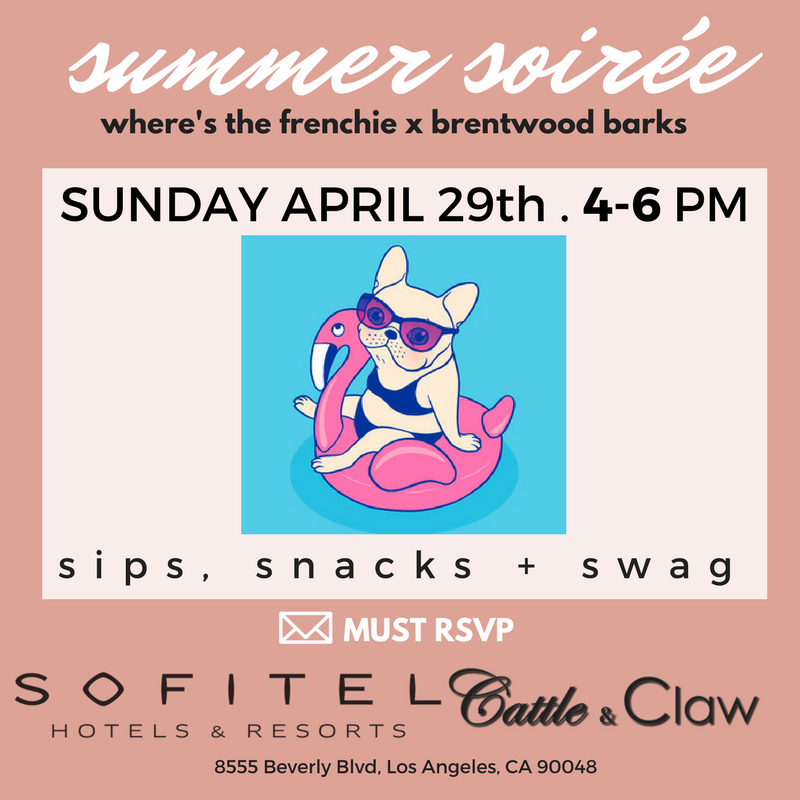 Summer Soirée @ SOFITEL w/ WTFrenchie x Brentwood Barks 4/29/18 - Where's The Frenchie? May is National Pet Month so we kicked it off by hosting an exclusive get-together with Brentwood Barks at the Sofitel Hotel in Los Angeles! Our dog-friendly event was worth barking about: there was an outdoor bar, classy hors d’oeuvres, pup treats from Healthy Spot + of course, gift bags (a thank you to Leela Ryan + Fine Frenchie)! We had an incredible day of friends, frenchies + other adorable doggies, selfies + hanging out. We hope at these events you meet new friends, have a great time exploring what dog-friendly LA offers + your pups come home exhausted. It was SO much fun seeing you all with your pups + can’t wait to do it again! Oh, BTW–one lucky attendee wins a free dinner for two at Sofitel! Congratulations Monica Giavanna!